Today I am going to introduce you to a new world by telling you the importance of reading. A book is a dream that you hold in your hands. Whenever you read a good book, it will either increase your knowledge imaginary power. I began reading extra books when I was in the second grade. I use to get fascinated with the pictures and the words forming beautiful stories. I was in habit to collect the books to read them. Actually I must admit that the habit of reading is my mom’s gift. When mom use to go to market and she ask me to stay home and then the only bribe i ask for is the story book & she bring for me everytime. Slowly and steady family members started calling me a certified book addict. During vacations,my goal was to read as many as book as possible. Every year I raised my goals and I feel in love with this hobby that I had developed. I want to pass this habit of reading to my kids as well. I have two kids and both are different in nature and interest. 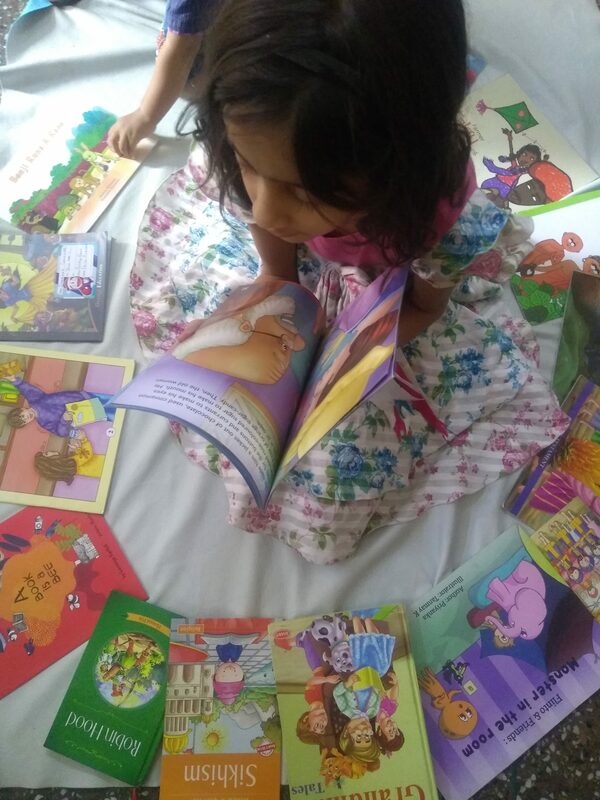 When my daughter was 2 year old, I introduce her to some books which were touch and feel book and first library actually a set a of mini 10 books which has picture and words. I always ask her to choose the book and most likely she handover me a animal book where there are animals, I use to name each animal and make sound of animal. She love the sound and want me to repeat the same. She soon learned recognizing animals and their sound . Then we start doing rhyming. My daughter has very good catchy power . Now a days she is fascinated with princess stories like Cinderella , Rapunzel story and princess and the pea and after reading them she want to act a drama on them. I never stop my princess and participate too in her imagination . Now she turn 7 years and she has lot of stories books to read, encyclopedia to explore new world. She love reading and she keep on adding new book to her book treasure. My son has very small attention span we have to make the reading sessions very dramatic with lots of voice modulations, different voices and actions to make the story come alive and grab his attention for a longer period. 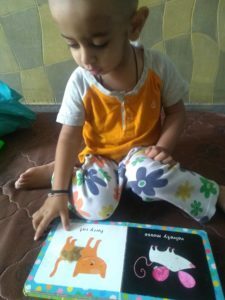 we talk and read to him in both English and Hindi so that he gets acquainted with both the languages. Please do share your views on the post and Is it help to you in any ways?